La Mision blends modern sophistication with the old mission flavors of the Baja Peninsula. La Mision's location puts everything Loreto has to offer right at your fingertips, conveniently situated in the heart of the town. La Mision offers 70 spacious deluxe rooms, each featuring a full size terrace with spectacular ocean, mountain or mission bell views. 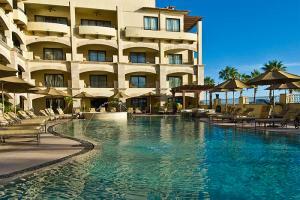 La Mision is located in the heart of Loreto, just 10 minutes from the Loreto airport.